Today I attended a Scout Award program in our church while waiting for my oldest son in cub scout. Attending the program was not in my plan. I got curious when I heard the speaker mentioned my friends sons name (in church) was receiving Eagle Award! 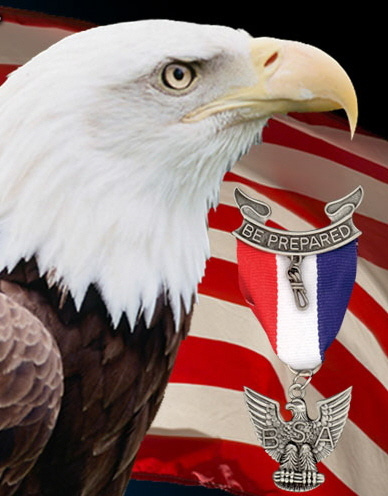 I remember my husband told me that he is the only one in his family who earned Eagle Award. Must be hard..? To satisfy my curiosity, I went inside the chapel together with my 5 year old son and sat on the bench to observe. My friends son was the only one receiving award that night. His parents, friends and relatives were there. I listened to speakers and watched a short video clip of him when he was little. It was very touching and beautiful. I was moved when his father talked about his son's faith and love for the gospel. He shared how he admired his son for giving up his swimming career to be able to attend seminary. I was deeply touched and was so impressed at the young man. He is a good example to young children. Someday, I will share his story to my children. I am glad I attended the Scout Award program by accident today. I learned something very nice today.